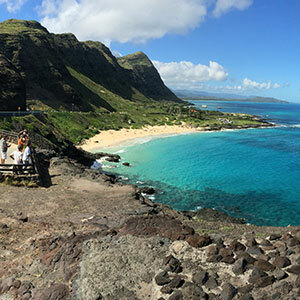 There are countless Oahu adventures to discover while visiting the island, but which are considered the best, and which would you like to experience on your vacation? From thrilling open door helicopter rides above to mysterious submarine adventures below, I’m sure you’ll find something to your liking. 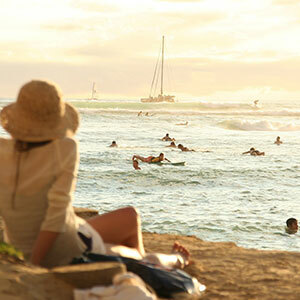 Think Oahu adventures and you will immediately think fun, wild, and absolutely memorable experiences. Flying through the air strapped on a zipline at Kualoa Ranch, swimming alongside exotice marine life in the ocean, and parasailing along the coastline are just a few that make our list. 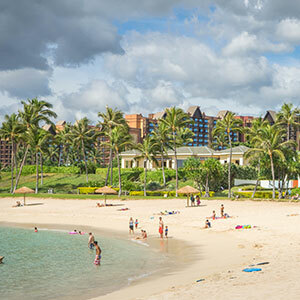 There are other adventures that are a little more low key and allow you to explore at your own pace, like learning the history of Pearl Harbor, or getting lost in a Dole Plantation maze. For the uninitiated, even a Hawaiian luau can be quite an adventure! 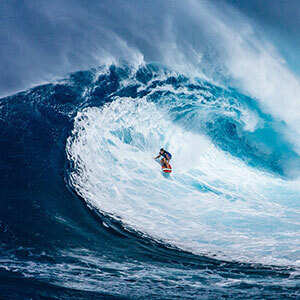 Here are your top 10 Oahu adventures. Let’s count them down together! Have you ever parasailed in paradise? It’s quite a thrill as the speed boat accelerates across the ocean, towing you in front of a large parachute, filling up with air behind you and pulling you into the sky. 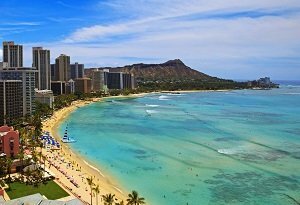 It's the perfect bird's eye view of the string of beaches along the Waikiki coastline! 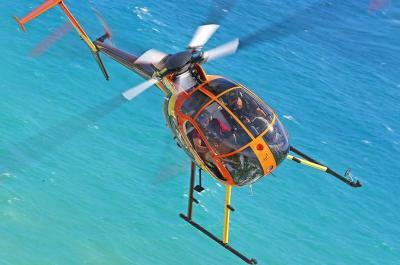 Take in the beautiful views and the surrounding beach activity from a few hundred feet above the ocean. 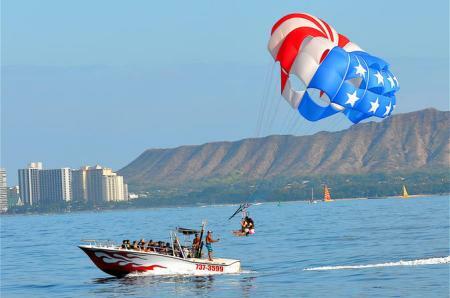 Parasailing Waikiki includes hotel transportation, boat ride, and no experience needed. How cool would it be to ride in a real submarine and see some of the amazing marine life swimming around you? 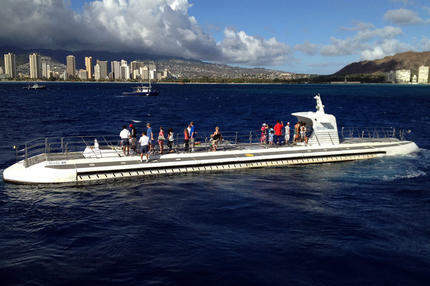 One of the most exciting and adventurous attractions on Oahu is being submerged below Hawaii’s tropical waters in a large 64-passenger submarine. You’ll travel 100 feet deep beyond Waikiki’s outer reef. You get close enough to be next to old plane & boat wrecks that are amazing to see, along with small and large fish and marine life that inhabit the deeper waters. 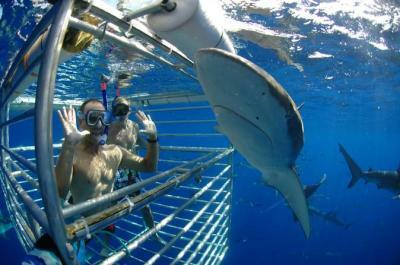 Experience a thrill of a life time with a shark cage dive! That’s right…view sharks in their natural habitat, as they circle around your protective cage with curiosity. If you're lucky, you will encounter as many as 30 sharks in one dive! This is a thrilling experience that requires no scuba license, but maybe not for the faint of heart. You can also just take it all in from the boat…you decide. Sign up for a shark dive! While Pearl Harbor is about viewing and learning what took place in history, there is a great sense of adventure for this Oahu attraction. 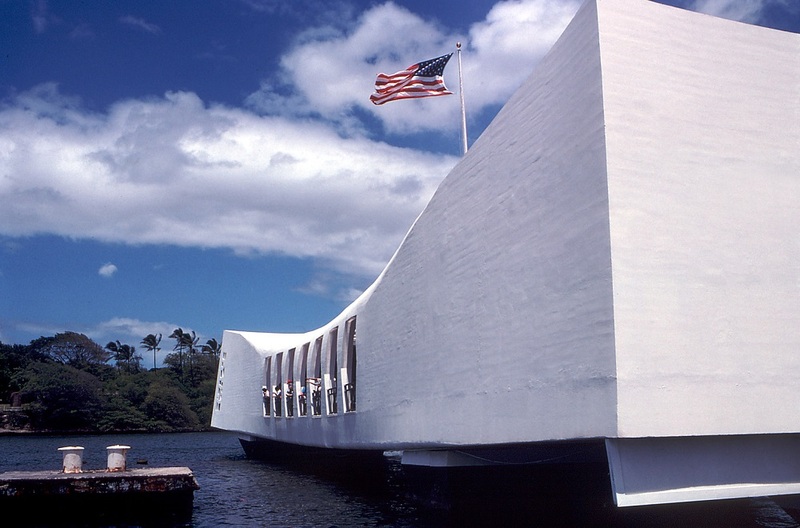 The Pearl Harbor Visitors Center is just 15 minutes away from Waikiki. 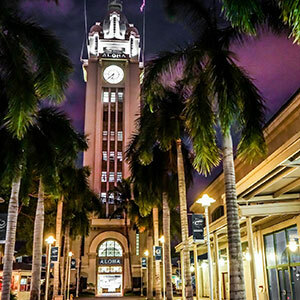 Take a ferry ride across the bay to view the Arizona Memorial, or take a shuttle bus across the Pearl Island Bridge to climb aboard the Battleship Missouri. The popular USS Bowfin Submarine, and the Pacific Aviation Museum are also available for viewing. Sailing in the Pacific Ocean is one thing but watching a tropical Hawaiian sunset while out at sea is a bonus. Become one with the sea as your catamaran cuts across the water…it’s a rush! Sometimes the spinner dolphins in the area will join you, as they ride the kinetic energy generated below. It’s like an endless wave being generated for them. Whether you find an ideal spot in the sand along the 7-mile stretch of beach, or land a seat on a catamaran sailing along this beautiful coastline, the Hawaiian sunsets are magical here! Most folks pack up and race back to town for dinner, but sticking around for a sunset can be quite rewarding! 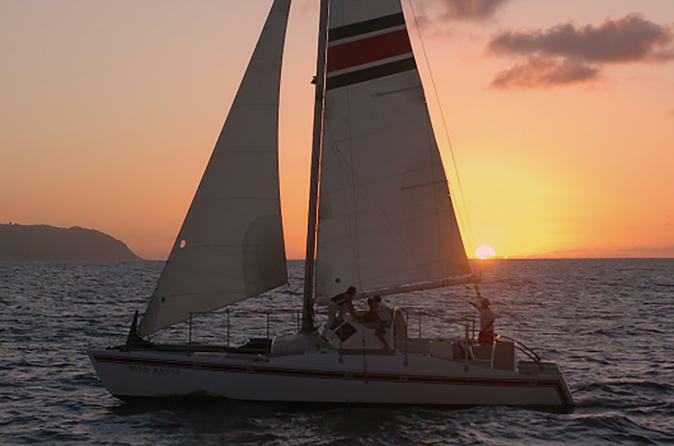 Honolulu has the party boats that ride into the sunset, but a quiet no-frills catamaran ride on the north side might be more fitting! 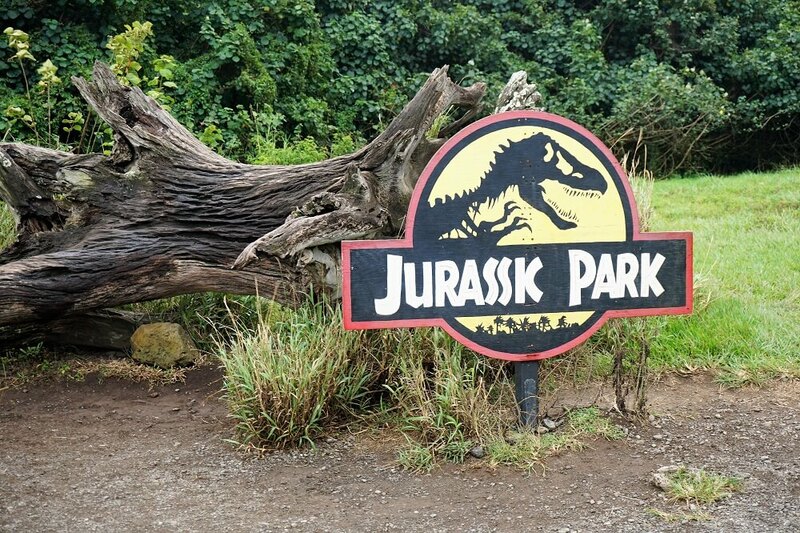 Here’s an amusement park full of Oahu adventures! Spend a day exploring the cultures of Samoa, Tonga, Tahiti, Fiji and more. 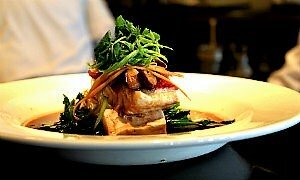 Loaded with fun activities, captivating shows, and a grand luau of its own, this is another full day of entertainment that is located 15 minutes up the road in Laie, North Shore. 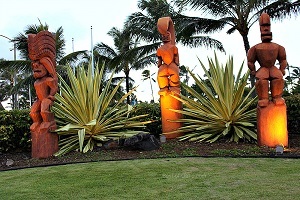 The Polynesian Culture Center has been an institution since 1964, and continues to evolve and entertain throughout the years. 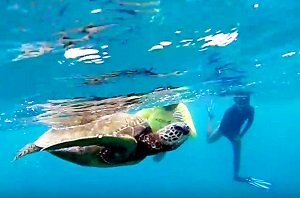 This ocean adventure takes you beyond the Waikiki reefs on a boat to secluded areas of the west side and north shore in order to snorkel within areas where green sea turtles are known to make a steady appearance. There is a 90 minute guided snorkeling tour in Turtle Cove, that includes a professional instructor, equipment, and safety lessons. Explore the open water in search of green sea turtles and other sea life. Kualoa Ranch could easily be one of the most beautiful ranches in the world and with lots of adventures to participate in. You can choose between horseback rides, ATV and bike group rides, movie tour adventure, and much much more! This could very well be the biggest thrill on the island. Riding along the coast and zipping through the valleys is such a rush. There is so much you will see from above that you can’t access from below. It’s a thrill of a lifetime! And finally, the number one Oahu Adventure is attending a Hawaiian Luau. It’s one big party full of performances, traditional ceremonies, a feast, and fun throughout the whole evening for all age groups! A Luau is a celebration for enjoying each other’s company, play traditional Hawaiian games, watch a Kalua Pig Imu ceremony take place, participate in a hukilau, listen to live local music, and being entertained throughout the night with many Polynesian and Hula performances. Polynesian Cultural Center, Paradise Cove, and Germain's Luau. 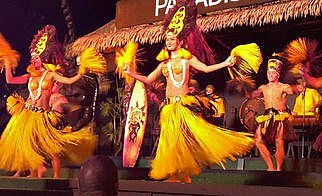 Also check out one of Oahu's newest productions, "The Diamond Head Luau", and unique settings such the as the Big Kahuna Luau in Tantalus hillside. 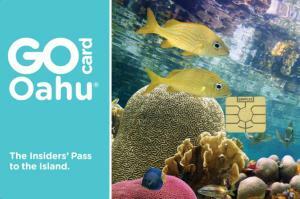 Discounted prices are offered through the Oahu Go Card.